Behold, the angriest yellow belt you’ve ever seen. Look, I’ll be straight with you. I’m not the best person out there. I have flaws. Sometimes, when I’m at a dinner party, I’ll lock eyes with a guest standing across the room and then slowly, methodically, eat the last h’ordeuvre on the plate as a way to assert dominance. But my skirt, my skirt is virtuous, people. Okay, it’s a replica of a skirt that’s virtuous. But that’s close enough. 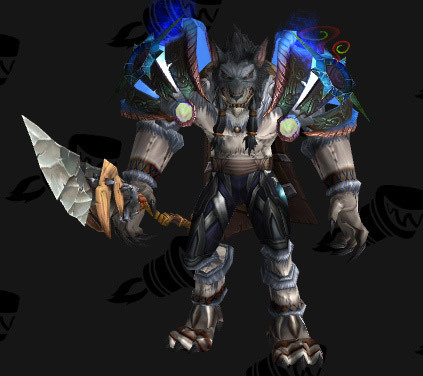 When the cold winds of Northrend blow, smart monks and druids turn to the fashionable and frosty White Leather Jerkin for warmth and comfort. Unlike some of the sets that are featured around here, this one’s relatively easy to make. If you’re lucky enough to have a well-stocked auction house on your server, your only RNG dependency is Poison Protocol Pauldrons — a comfortable 18% drop from Magmatron in Blackwing Descent. 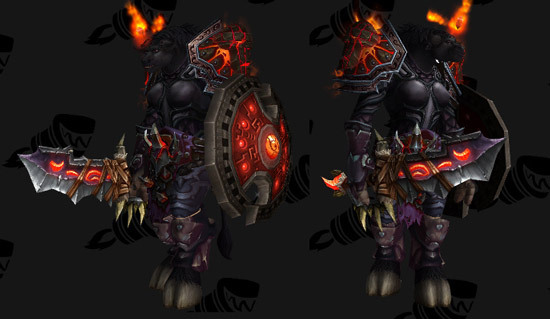 And okay, so the only piece of this set that’s locked to monks and druids is the cape that you can barely see, but I love that spear. 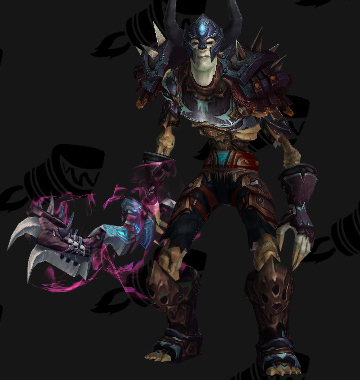 Until Blizzard stops ignoring my e-mails and makes “Fan of Polearms” a thing, I’m calling this ice fishing in Storm Peaks set monks and and druids only. 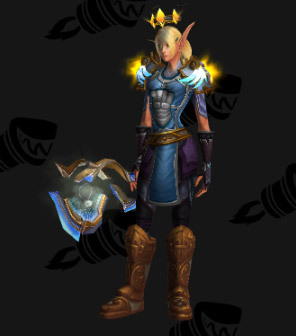 Ever checked your character’s profile on Battle.net only to discover that somehow, while running dungeons half-asleep, you equipped not one but two grey pieces of gear? 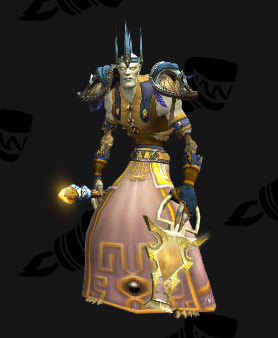 So, really, the title of this post should read “What Cathedral Should Be Wearing, Because No Self-Respecting Paladin Should Be Rocking A Clout Mace And A Cloth Twill Belt In End Game Content.” But that’s a bit long. 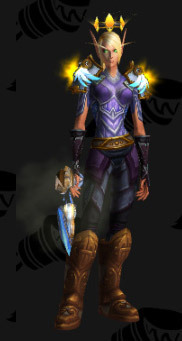 This set works without the tabard, obviously, but so far as the Paladin fascination with light is concerned, the opportunity to glow with ethereal light every 30 minutes is hard to pass up. In terms of personal preference, I keep my cloaks hidden. In this case, though, the winged animation effect that Gong-Lu, Strength of Xuen procs occasionally is visible regardless. Of course, it’s a legendary, so if you’ve actually bothered to play this expansion, you’ll probably spend most of your days wearing something better. Whoa. Did not mean to post this today. So… uh, happy fun-time bonus set?